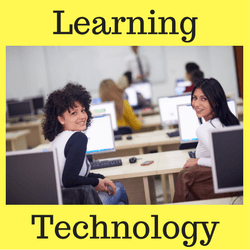 What resources can be used to teach digital technologies? For years 10.5 to 12. Tec NQ and JCU used thier combined skills to make a FSAE race car. This required race specification analysis, carburator design, mathematics for fuel volumes, 3D drawing, 3D printing in plastic and machining in metal. Tec NQ uses Moodle to provide teaching resources, student submissions, forums and marking. STEM is also present in electrical analysis tools, engine analysis tools and environmental monitoring. Play with technology and learn along the way. Look for repetitive situations and try to automate them. Alter spreadsheets into a desired format. e.g. Solar inverter CSV file to a PVOutput chart. Use Raspberry Pi for home automation. Home Assistant is an open source project. Investigate it parts. Arduino is a credit card sized microcontroller. Learn to code on hardware costing less than $30. There are many application such as smart appliances and Internet of Things. Connect Arduino to LED lights, sensors, motors, displays, relays, switches etc. Look for Arduino sensors as a package. e.g. 37 sensor kit. There are also companion circuit boards (shields) such as robot motor controllers, networking, LCD displays, multi sensor boards, multi relay boards etc. There is a series on Arduino training resources at https://bronsonp.github.io. This is a program matching STEM professional with schools. Brendan works with St Joseph's and Hermit Park State Schools. 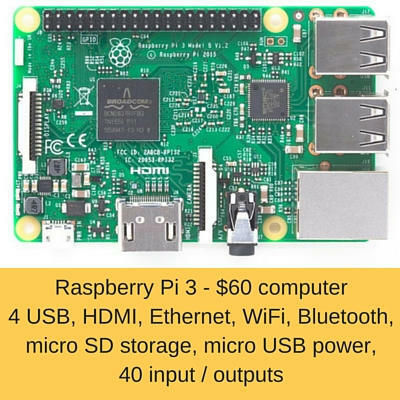 It began with a Raspberry Pi (single board computer) and weather station kit competition. 1000 kits were given away with open source code. Python programming language can be used on Windows, Mac and Linux (Raspberry Pi can use Linux). Students were given 30 lines of code to type in and run. They could modify it once it was operational. Hermit Park school has a long term project to have real time monitoring of thier hydroponics. e.g. Remote control and web page status. CS Unplugged is a teaching resource. Computer Science without a computer. It teaches computational thinking with games and puzzles. The initial prompt for this was to improve group collaboration skills for ACS accreditation. A secondary consideration was to avoid Zombie jobs (jobs likely to be automated soon). JCU created a Design Sprint event using 1st, 2nd, 3rd year students, staff and industry to help solve the local water crisis. 188 people. Group collaboration skills were learnt quickly. Group progress was rapid. In one day they solved what would have taken 6 months using meetings. Pinet(free) uses a PC / laptop to act as a server to a group of Raspberry Pi Linux client computers. The server can push out settings and updates to the clients. It can act as a file server, message server and can control user accounts. The server operating system is Ubuntu Linux. This can be loaded on the PC directly or as a virtual machine on top of a Windows/Mac computer. Pinet can setup the microSD storage cards that will be used in the Raspberry Pi. The Ethernet network can be run without the Internet. Monitors with USB power could power the Raspberry Pi (USB <= 10 watts). Skills gained include Linux admin skills, network setup, computer setup, programming and command line skills. An alternative could include Linux installed on older computers. Another alternative is Chromebook / Chromebit browser based computers. TinkerCAD allows a classroom to 3D design online. The users need one parent/teacher account. Students can use an alias to connect to the parent/teacher. Tutorials are present to introduce 3D design. The teacher can see each of the student's designs. 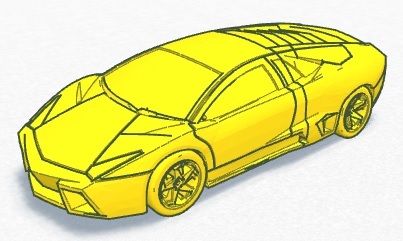 Save your 3D designs as .STL files for 3D printers. Holy Spirit Catholic School students designed 3D letterboxes. 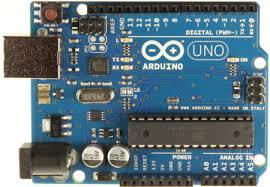 There is a 2nd section to this website to teach electronic circuits and Arduino. 3D printing could be used to build circuit enclosures.